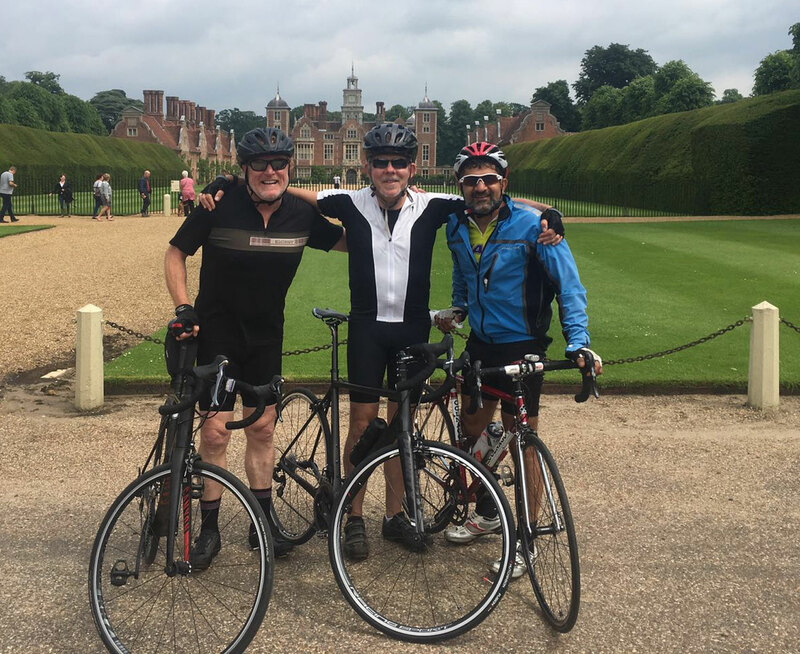 David Lamont, whose wife Michelle has had two heart attacks as a result of SCAD (spontaneous coronary artery dissection), is raising money for Beat SCAD by taking part in a marathon cycling challenge from London to Paris. David, pictured above left, will be joined by two friends (also pictured). The four-day, 336-mile bike ride starts on 20 July in Croydon and finishes in Paris. The first day takes the riders through Kent, across the channel and to Dunkirk, around 91 miles. Day two’s route is Dunkirk to Douai (69 miles), then on to Soissons on day three, a gruelling 94 miles, and finally to Paris, ending at the Eiffel Tower. Once the ride is finished, David will have a chance to relax and watch Tour de France races on the Champs Elysee. Michelle said: “In July 2004 at the age of 40 I suffered a heart attack, followed swiftly by a cardiac arrest. I had in a matter of minutes gone from a fit, healthy wife and mother of three to a heart attack survivor. My heart attack was caused by what we now understand as SCAD although little, if anything, was understood about the condition at that time; indeed my heart attack was put down as a ‘freak incident’ and as such my prognosis was unknown. It was a very dark year for me. “Time is a great healer, though; my body and life slowly returned to normal. Sadly in February 2009 I suffered another heart attack. I recognised the symptoms immediately, another SCAD, this time in my LAD [Left Anterior Descending artery]. 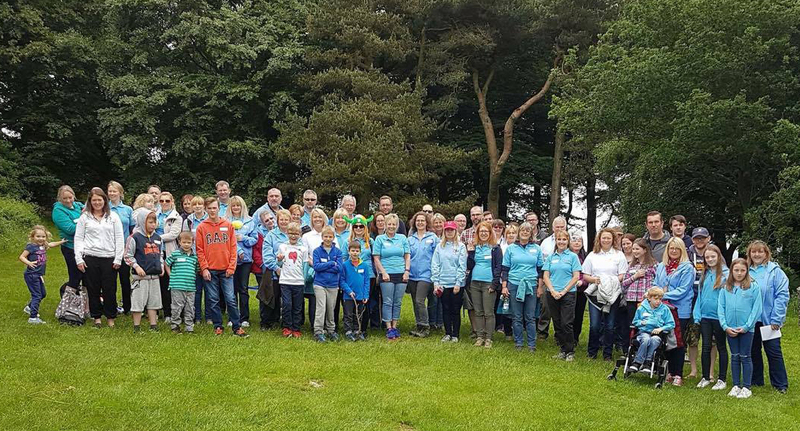 Although undoubtedly another major setback, the difference after this event was that SCAD was starting to be a recognised condition and I was able to connect with others online. Rather than the total isolation of 2004, the growing awareness and network played a huge part in my recovery. Please support David by giving a donation on his Total Giving page. 100% of the funds raised by David will be put to good use by Beat SCAD, so all donations are gratefully received. Thank you David – best of luck and we look forward to seeing updates en route! 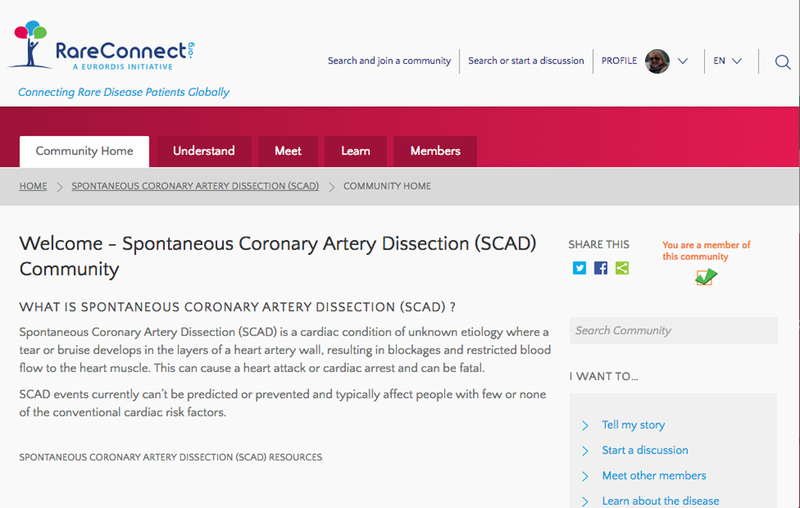 Beat SCAD and Rare Connect have launched an online community for those affected by Spontaneous Coronary Artery Dissection (SCAD). Rare Connect is a patient-led initiative of Eurodis (the European Organisation for Rare Diseases). Rare disease patients, families and organisations across the world can develop safe, moderated online communities on the Rare Connect platform. 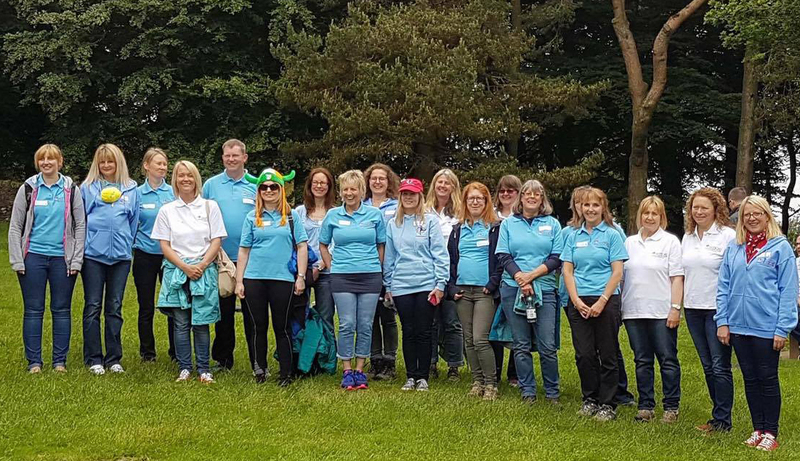 The community includes information about SCAD, including FAQs, patient stories, links to videos, research projects, recent articles, events and lots more. Members of the community can create and participate in discussions as well as tell their stories and learn from others affected by the condition. Most of the content is translated by Rare Connect into six languages: English, German, Spanish, French, Italian and Portuguese. Many SCAD patients ‘met’ on social media and there are some very supportive groups for both survivors and their families. However, for SCAD patients who don’t use social media or don’t speak English, finding information and other SCAD patients can be tough. By setting up this community, we hope it will help more SCAD patients, families and friends to connect with others affected by SCAD both in their own countries and across the globe.